It is easy for modern scientists to take for granted the ability to perform intricate numerical calculations with the help of a calculator, a computer, or even a super computer. An area of research I’m interested in – numerical relativity is a field of physics entirely carried out in the belly of a supercomputer, namely simulating the interaction of two inspiral black holes that ultimately yield gravitational radiation as predicted by Einstein. Even with teraflop (1 trillion floating point operations per second) computing speed, such calculations take months to complete. Now take a huge step back in history, to Ptolemy’s time, AD 90-168 and think about what even the simplest calculation, like computing a square root, might entail. Remember, this was a time when the language of mathematics was not nearly as defined as it is today. Calculating would take up a significant percentage of the time required for scientific inquiry. Science was tedious for this reason. I attended a thought-provoking lecture the other night at the Getty Villa in Malibu, Calif. – The Geocentric Man: Ptolemy's Scientific Treatises. The speaker touched upon this curious subject – calculating in antiquity. It became apparent that calculating was quite a chore in those days! Much later, Johannes Kepler (1571-1630) had it even harder because the calculations got tougher, but the tools for calculating still weren’t there. Imagine doing calculations for Kepler’s laws describing planetary motion – all by hand. 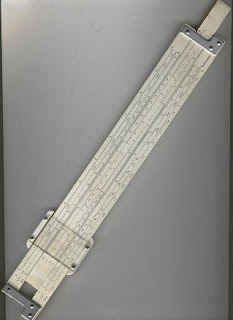 Kepler did create tables that were helpful with repeat calculations and he initiated the creation of the first calculating machine by his friend Professor W. Schickard. When I stop to think about it, I’m grateful to have computers to take the grunt work out of scientific calculation. With computers, I’m able to focus on the science rather than the drudgery of manual number crunching.